Okay, I just put that last photo in for fun 🙂 (Shout out to all my homies! 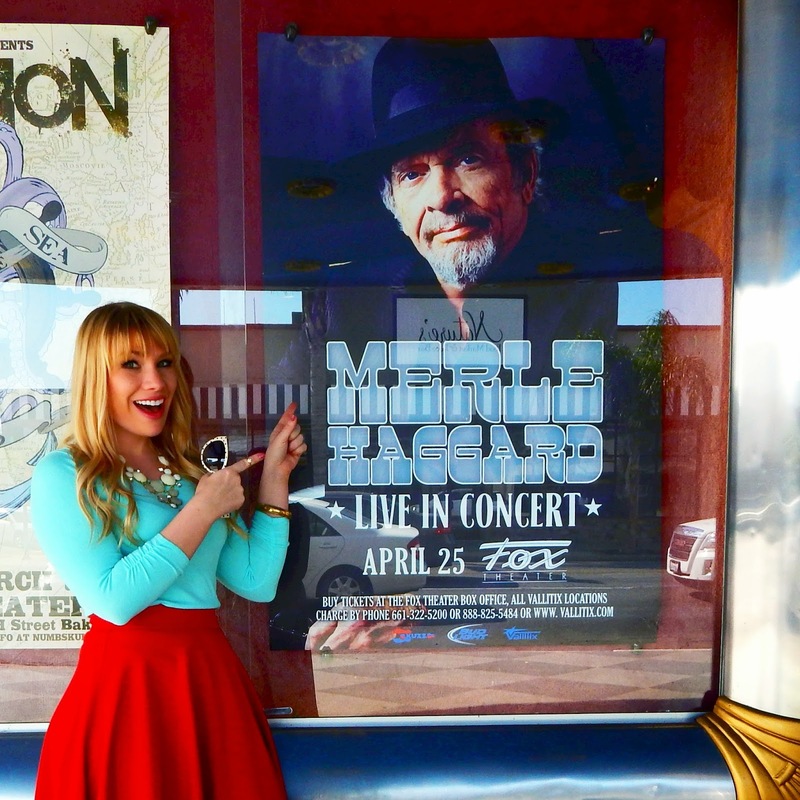 )Merle Haggard is a big deal where I live…probably because that’s where he originated. In fact, he was a speaker at my college graduation, which is pretty cool when you think about it. 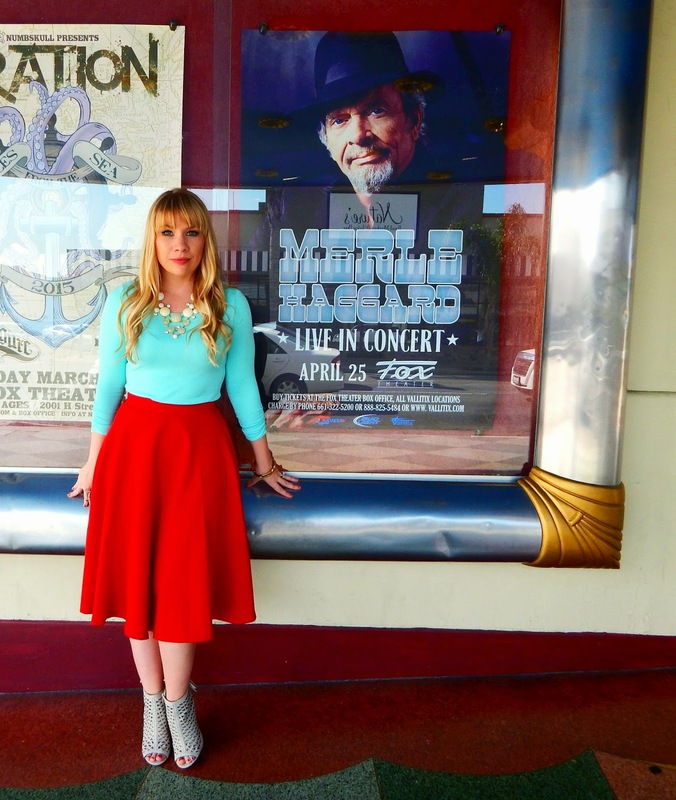 Country music in California? You better believe it. Anyway, it’s been a long week and I couldn’t be more glad that it’s finally Friday. Woo! We start off the week with so much energy and somehow end up exhausted by the end of it. However, once we finish our final shift, we are home free, energy is renewed and excitement is restored. For most people, Friday evening is the beginning of the weekend and a time to go out. What is one of the most common activities? 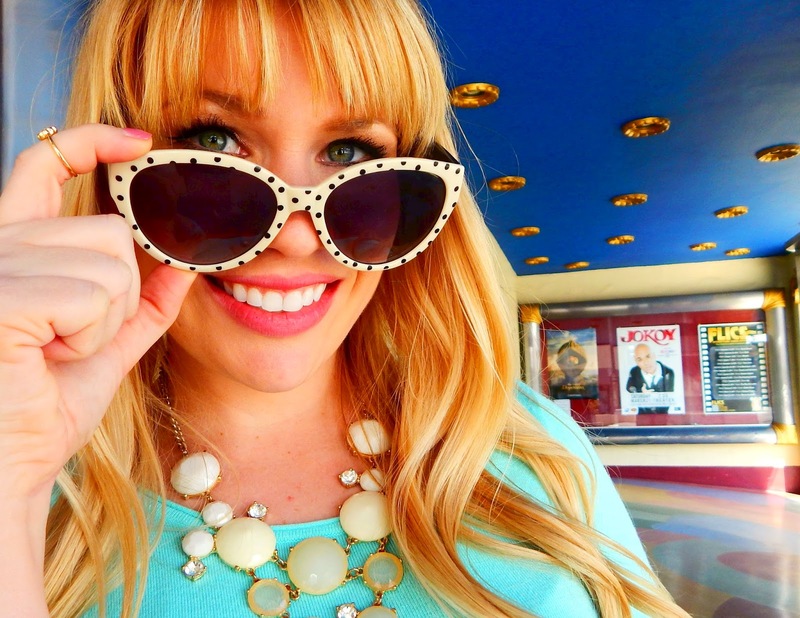 Going to the movies, of course! 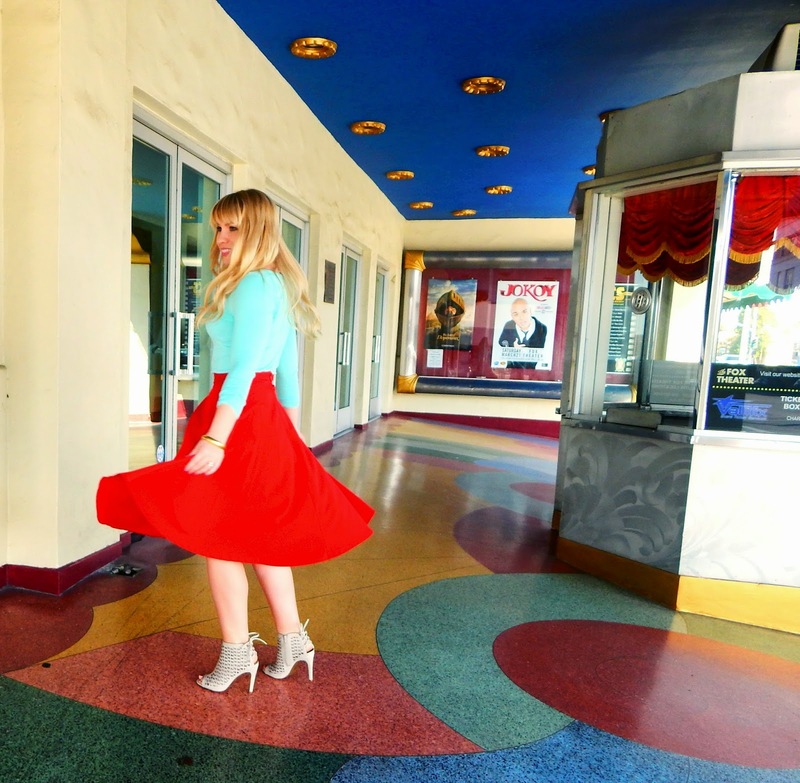 I thought it would be fitting to shoot this outfit at the old Fox theatre. I knew I wanted to create something retro-looking that was still modern. Also, something that would stand out in the plethora of colors that fills the outside of the theatre. 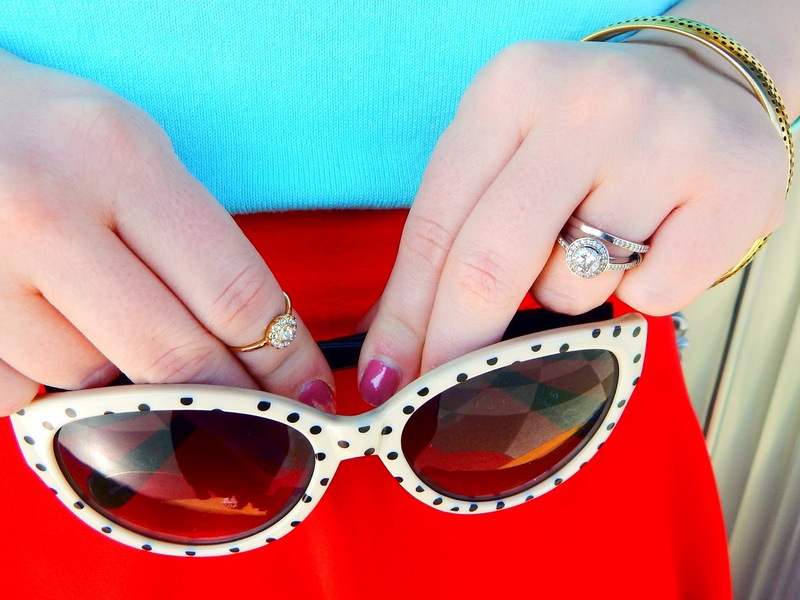 This skirt from modcloth is the perfect start to any outfit. 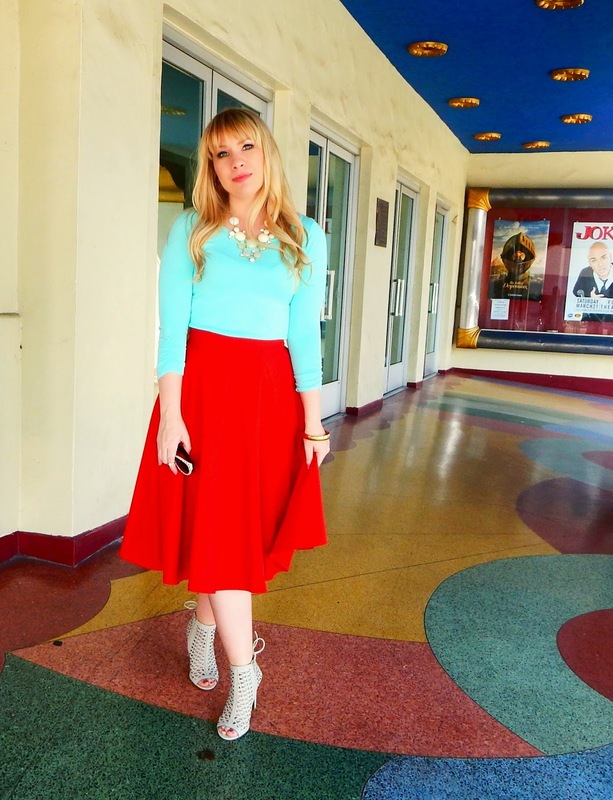 Let’s just say that I have a thing for midi skirts. They are so flattering, even to a short gal like me! Even better, they are work appropriate. A beautiful shape in a bold color is exactly what I was looking for. They have these skirts in a few different colors, but this is my favorite. I really like the way aqua and red look together. The color combination is super retro in itself. Put it together as a swingy skirt and sweater top and you’ve got yourself the perfect outfit! I made it a bit more modern by pairing it with a neutral heeled gladiator bootie. I wanted the colors to stand out so I paired it with a cream necklace and gold arm jewelry.